The recipients of the Type Directors Club (TDC) of New York’s Certificates of Typographic Excellence have been announced. Check the TDC’s Twitter feed, and the social media feeds of your favourite designers, for more announcements. We’ve put together a GIF showing a small selection of winners including Frank Fonts’ Kraken Slab FR, Tereza Bettinardi’s book design for Memorias Postumas de Bras Cubas, The Narrative’s 150 Media Stream brand identity, IS Creative Studio’s identity for LADFest 2018 (the first Peruvian studio to receive this award), Typeji’s Ribaasu, Garbett Design’s Advantage Report created for CareerTrackers Indigenous Internship Program, R-Typography’s Gliko Modern and Osborne Shiwan’s campaign for Atamira Dance Company’s performances of Pango. See ‘Type specific’ in Eye 86. A small selection of work that has received the coveted Type Directors Club of New York’s Certificate of Typographic Excellence. Top: Exterion Media Netherlands’s City in Motion campaign, designed by Studio Dumbar. Patrick Thomas’s Protest Stencil Toolkit (Laurence King, £19.99) will be available from Laurence King on 9 April 2019. This revised edition includes 42 stencils for ‘modern-day activists’ including stencils for making environmental, peace / anti-war and human rights protest signage, among many others. See ‘Chat show’ on the Eye blog. 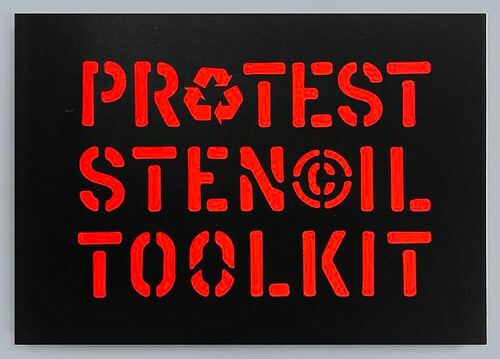 Cover for Patrick Thomas’s Protest Stencil Toolkit (Laurence King, £19.99). Spread from Thomas’s Protest Stencil Toolkit, showing ‘Stop Exit’ and ‘Yes’ stencils. For the Whitney Museum of American Art’s current exhibition ‘Programmed: Rules, Codes, and Choreographies in Art, 1965–2018’, which continues until 14 April 2019, the in-house graphic design department devised an approach to the exhibition text that augmented three weights of Neue Haas Grotesk to further the exhibition’s display of works based on instructions including conceptual, video, and computational art. 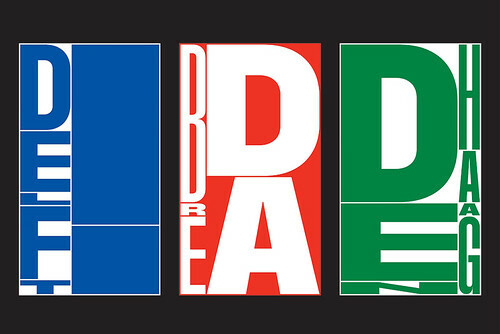 The typeface, designed by Commercial Type, forms the basis for the museum’s identity system and the graphics team worked closely with the foundry to develop a series of alternate characters and a set of rules so that characters used across the all the exhibition graphics would intermittently be replaced based on an algorithm. See ‘Reputations: Commercial Type’ in Eye 82. See ‘Flexible geometry’ about Studio Dumbar’s 1990 PTT identity in Eye no. 1 vol. 1. 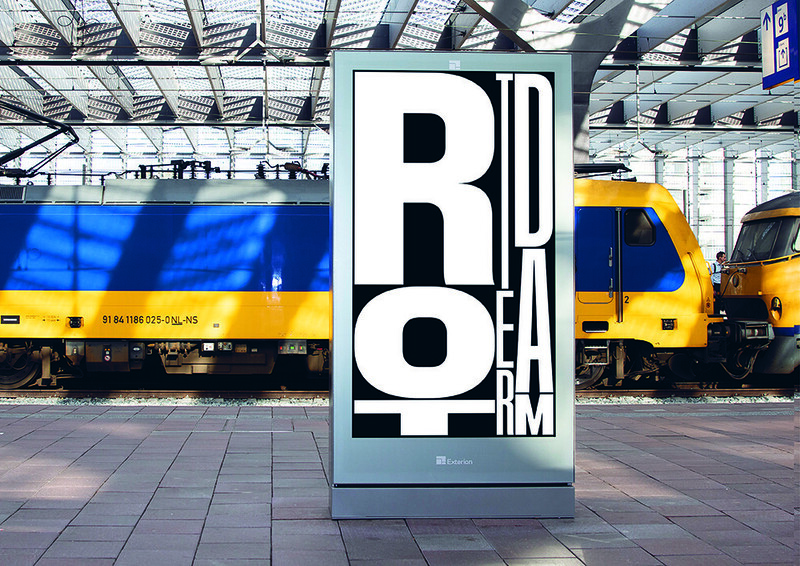 One of many examples of Studio Dumbar’s variable font designed for Exterion Media Netherlands’s City in Motion campaign.